Today’s guest teacher is Conchita Sensei. She volunteered to be our guest teacher a long time ago. お待たせしました！= Omatase shimashita. = Sorry for making you wait! I occasionally work for 宅急便（たっきゅうびん）= takyuubin = door-to-door delivery service and deliver fish to the cats in my neighborhood. I will teach you how to use なんか ( = nanka) today. = Nani ka otetsudai dekiru koto wa arimasen ka? = Is there anything that I can do to help you? = Nanka tetsudau koto nai? Note: Since the kanji 何 can be read both なに ( = nani) and なん ( = nan), I will use hiragana from here on out. = Ima, nanka itta ? = Did you just say something? = What is wrong? / What happened? = Nani ka taberu mono wa arimasen ka? = Nanka taberu mono nai? = Is there anything to eat? = Kyoutou ni iku kedo, nanka hoshii mono aru? = I am going to Kyoto. Do you want anything (from there)? = Asoko ni nanka iru yo. = There is something over there. = Kanojo, nanka kirei ni nattane. = She looks pretty these days for some reason. = Nanka, kanji kawatta? Kamigata kanaa. = You look different somehow. I wonder it’s your hairdo. = Kare ga saikin nanka tsumetain dayone. = I don’t know why but he (or my boyfriend) is kind of cold towards me. = Raigetsu, daigaku wo sotsugyou surutte kangaeta dake de nanka, kanashiku natte kita. = Just thinking about going to graduate from the university next month makes me feel sad for some reason. = Kyou wa nanka ukenai naa. = Nobody is laughing at my jokes today for some reason. = You know I’ve been busy for some reason. You also say つうか ( = tsuuka) / つーか( =tsuuka) in casual Japanese speech. = Nanka, kimochi waruku natte kita. = I am getting a little sick. = I am getting a little hungry. = It’s kinda annoying. / I’m kinda pissed off. = I am kind of sorry/ I kind of feel bad. Note: Sometimes you say that when you don’t think it is all your fault but you want to say “sorry” anyway. = Ima, Conchita no tame ni sapuraizu paatii no shitaku wo shiteirun dayo. = We are working on a surprise party for Conchita now. = Nanka, sugoi koto ni natterune. = Wow… It kinda looks amazing, isn’t it? Note: The translation of すごいこと ( = sugoi koto) changes depending on the context. It could be used negatively as well. = Ano futari, saikin, amari issho ni iru no minaine. = I don’t see them together lately. = Nanka sengetsu wakareta mitai dayo. = (I am not sure but) it seems that they broke up last month. Since it also has a belittling function to it, be careful how you use it. = Anna takai resutorann nanka ikanai. = There is no way that I would go such an expensive restaurant. It shows your strong negative emotions and it might hurt someone’s feelings. = I DON’T need/want a boyfriend. = Iiwake nanka kikitaku mo nai. = I don’t want to hear your excuses. = Tanjoubi nanoni raamen nanka tabetaku nai. = It’s my birthday. I don’t want to eat ramen. = Ii toshi shite anime nanka minai yo. = I am an adult. I do not watch anime. = Uwaki nanka shinai yo. = There is no way that I would cheat on you. = Takashi kun nanka shiranai! = I don’t care about you anymore, Takashi! Note: 知らない (= shiranai) means “I don’t know” but in this case, the speaker obviously knows him and feds up with him. = Mou otouto to kenka nanka shicha dame dayo. = Don’t fight with your little brother anymore, OK? Note: Mitsu-Sensei made a lesson on なんて( = nante) before. The difference: You can’t use なんて( = nante) after a particle. = Konnani isogashii noni, tomodachi no ie nanka ni itte asonde iru jikan wa nai. = I am so busy that I have no time to go visit my friend. = Kono ki wa, hasami nanka de kirenai yo. = You can’t cut this tree with scissors. = Aitsu nanka ni makete tamaru ka. = I am not going to lose to him (her). You also use this form to soften the sentence avoiding the straightforward expression. = Sono shatsu niwa kono nekutai nanka aun janai? = I think this necktie goes well with that shirt. What do you think? = Kore nanka kanojo no purezento ni dou? = How about this one for a gift to your girlfriend? = Dare ka ii hito shoukai shite yo. = Set me up with someone nice. = Hayato kun nanka dou? = How about (a boy like) Hayato-kun? = Biiru ka nan ka aru? = Do you have some beer or something? If you say ビールある？ ( = Biiru aru? ) You are specifically asking for beer but by adding なんか ( = nanka), you can give the listener more choices. When you talk about something related to the topics. = Atarashii itarian no mise, hairumade ni sanjuppun kakattanda. = I had to wait thirty minutes to get in the new Italian restaurant. = Watashi nanka ichijikan mo matta yo. = (As for me) I waited good one hour. = Hontou! Kinou nanka mado ga kootteta mon. = You can say that again. Like yesterday, the window was frozen. 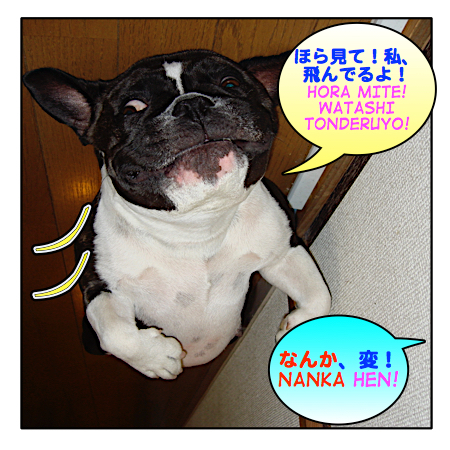 6) to start a conversation with なんか ( = nanka) putting your thoughts together. = Nanka saa, saikin, kanojo to umaku itte inain dayone. = You know, things are not working so well with my girlfriend. = Nanka saa, enkyori ren’ai tte taihen dayone. = You know, long distance love is hard, isn’t it? = Doushita no? Genki naine. = Are you OK? You seem kind of down. = Nanka nee, iroiro attene. = Well, I have been through a lot, you know. = Dou? Kyou no omisoshiru, oishii? = Hmm how should I put it..
= Thank you, Conchita Sensei! = Tsugi wa uchi ni osakana wo todokete ne. = Please deliver fish to my house next. = Minasan, nihongo no benkyou ni Maggie Sensei no saito nanka dou? = How about a site like Maggie Sensei’s site to study Japanese, everyone? What about 何かで? 何かへ? 何かに? I saw a sample question for jlpt N5 and it goes like : たまごりょうりの上手な作りかたを (___) 読みました。 Why is the answer 何かで and not 何かへ, 何かに? I have read A in a book. I feel like there is a never ending supply of these great lessons. How many of these lessons are there in total? I have a question about なんか usage. I am a little confused about two different usages of なんか. How do I know when a sentence means #1, and when it means #2? Is “context” the only way to determine the meaning? If so, that’s なんか難しい for me. For example, for the sentence below, it could either mean “Today I am tired for some reason”, or “Today I am a bit tired”. I see. There is a fine line between those two usages. I think it is similar to the difference between “somehow” and “kind of” in English. Depending on how the speaker feels. Basically you use it when you talk about something unexplainable. Right. It could be use for both cases, I am a bit tired. / I don’t know why but I am tired. I have a question about なんかversus は in one of the examples you gave. Is there any difference in nuance between the above sentence and 「私は一時間も待ったよ。」？Thanks! →In MY case, it took me ONE hour to get in the restaurant. なるほど！So would「私など一時間も待ったよ。」also have the same meaning? なんか is much more casual than など. Since this speech is pretty casual など~ 待ったよ,may sound slightly unnatural but it is possible. Since its in the past, why not あったね? Thisなあ is also used when we wish something or envy someone? Is there a lesson on it? Im still confused about its function. You know the function of て right? It is not a male speech. Women use it,too. 1. Unfinished sentences in Japanese are very common. It’s because the speaker wants you to read between the lines, as Maggie many times mentioned. Of course the sentence, although the ～て form, implies the past. なんかねえ、いろいろあってね。=> Well, many things happened, you know (the speaker lets the sentence unfinished because he/she doesn’t want to talk what happened and at the same time he/she doesn’t want to say directly “I don’t want to talk about that” because that might hurt your feelings). 2. Part. な has many functions. Besides prohibition, seeking confirmation, admiration or emotional expressions, it implies also pure emphasis. And yes, な is normally male speech, but it’s not a rule. as usual u helped me alot. And Thank you, 天人 for your help,too! Either way, they both negate what her boyfriend said expressing her emotion. I have a question about the function of なんか and なんて in these sentences. I’ll explain the context briefly. I think なんか and なんて are used to emphasize the negative sentences even more, is it right? Or is she trying to belittle the words that come before なんか and なんて? Or do なんか and なんて have another function here? My doubt is over the fact that she says these sentences while being happy indeed, so I know she’s not emphasizing negative feelings (like disgust). = I am too preoccupied with something/ too busy and there is no “headspace” to think about other things. どうでもいい = I don’t care. どうでもいいと思っているんでしょ = I bet you don’t care. So the speaker strongly negate what he/she just heard. It’s true that the original translation, “I am not calm” fits that translation better. I think it is the result of someone is 余裕がない. If you are too preoccupied with something and can’t think of other things/deals with other things, they may ends up losing composure. I’m new to your site but not new to studying Japanese, and I must say you’re awesome for making the lessons fun and enjoyable! They’re also really easy to understand and make me persevere in learning! Does the context change? Because I think it’s still the same or does it just add nuance to the expression? Truth is I’m still quite confused with how the ‘mo’s particle is used. Hi Summer! Welcome to my site! も has many functions but in this case, it emphasizes the meaning. ~たくもない is much stronger than たくない and も here can be translated as “even”.